Want to make a difference for your loved ones’ financial security, but don’t want to leave your house? You’re in luck, because comparing life insurance quotes online is the smart way to find the right policy. By learning how to buy life insurance online in minutes, you can build your financial security today and into the future. When you hear the phrase buy life insurance online you probably imagine hours of headache-inducing research, your vision blurring as you comb through confusing legalese on website after website just to get a few quotes. Fortunately, that couldn’t be further from the truth. Like most time-tested life hacks, to buy life insurance online successfully you just need the right tool and a clear picture of your goals. We’ve put together some tips for building a solid financial foundation—not just on to how to buy life insurance online (in minutes, not hours, by the way) but ways to enhance your overall financial health. Besides looking for easter eggs that you missed in the Stranger Things pilot, it may seem unlikely that you could get any important research done in your PJs on a weekend…and certainly not in under five minutes. 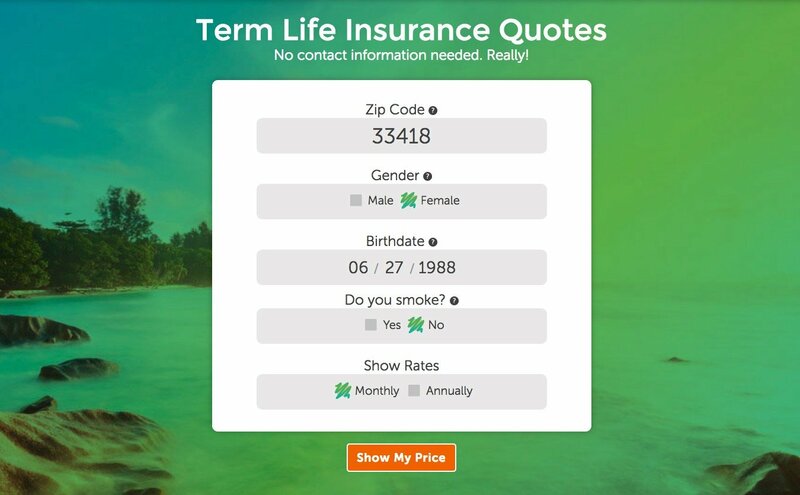 However, by using Quotacy’s life insurance quotes tool, you can compare life insurance quotes online from the best life insurance companies (without having to enter your email or share your phone number), select the best one for you, and even complete an online application in under five minutes. That means no sales calls, no spammy emails, and most importantly, instant, comprehensive information on leading life insurance insurance providers, the term life coverage that they offer, and a solid estimate of how much you’ll pay for your term life insurance policy. It’s super simple to use. Just pop in a few details—your gender, age, smoking status, zip code, and how much coverage you’d like—and our life insurance quotes tool will do the rest. There, you’ve learned how to buy life insurance online and your cup of tea is still warm. Now, back to the show. Side note: if you’re watching Stranger Things for the first time alone, you might want to turn on an extra light or two about five minutes in. Don’t say we didn’t warn you. Purchase whatever amount of life insurance you can afford today to protect your family. Some life insurance is better than no life insurance at all. One of our mantras here at Quotacy is to buy what you can afford. Term life insurance is relatively inexpensive. And if you aren’t sure how much coverage you need, use our term life insurance needs calculator. It will help you determine what your needs are and the approximate costs. However, be sure the cost of the life insurance amount you want to apply for is manageable. You may want to buy a $1,000,000 insurance policy so your family would never have to worry about money again, but can you afford that? If you struggle to keep up with the premiums of a policy and the policy lapses, your family will no longer be financially protected. Purchase a life insurance policy you know you can afford. A little life insurance is better than no life insurance at all. After you lock in your affordable term life insurance policy, it’s time to review your budget. Using your online bank statement (these usually let you split your expenses into categories), look at the average of the last three month’s essential expenses (term life insurance, your mortgage, student loan payments, car payments, utilities, etc). Jot that number down, then look at the tally of unexpected expenses (car repairs, medical bills, etc). Exclude all of the fun stuff—like your Netflix subscription—for now. You’ll want to really focus on the bills that must be paid for necessary household expenses. The funds leftover after you’ve taken care of the basics (and unexpected costs) should be what you aim to save (minus an amount that you choose for recreation, cash-on-hand, and any contributions that you regularly make.) This number may be very different from the budget that you planned to stick to at the beginning of the year, but this represents the most accurate picture of your current finances and it’s what you’ll need to make smart financial choices in the future. It’s smart to monitor your spending for a few months at a time before you finalize your end-of-quarter savings goals, rather than the other way around. Why? Because if you come up with an amount that you want to save—such as 20% of your income—and then use the rest to cover your budget, then you may be risking an inadvertent failure if unexpected costs come up. You may have to recalculate the year’s savings goals (which can impact your 5-year plan if you’ve created one) or face difficult budget choices if you see a needed big ticket item at a discount. But knowing how much you are really spending each month will make you a smarter saver to help you build financial security. Most of us have it and most of us don’t like to think about it: student loan debt. One of the smartest ways to make certain that your student loan debt is covered is to have a clear plan on how to manage it far along in the future. The first thing to think about is how much more quickly you can pay off your debt if you find a few new ways to save each month. Check your student loan documents online and find out if it is possible to make early payments on your principal. If your loan provider doesn’t penalize early payments, then by all means, use that extra money you’ve saved by bringing your own lunch to work to lower your debt (just make sure you check with your provider that your payment is going towards your principal, not the interest). » Learn more: What Happens to My Student Loans if I Die? 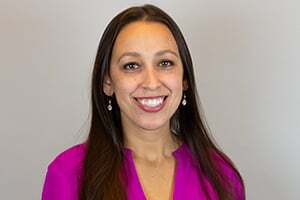 Next, look into purchasing disability insurance (that, unlike a disability rider, is a separate policy) a policy that provides long-term income for your family. Consider the effects a disability could have on you and your family’s lives, your standard of living, and savings. Having disability insurance coverage ensures you can still make your payments on time. If you were to become disabled and unable to work, creditors aren’t going to feel bad and stop sending bills to your home. You’re going to need to figure out a way to keep your budget on track and manage your all of your expenses and debt—not just your student loans. If you’re reading this, then you’re already committed to learning as much as you can about creating a solid financial future. At Quotacy, we’re here to help. We make it easy to buy life insurance online and to find the insurance products that provide the protection that your family needs. If you’re ready to take the first step towards a financially secure future, get started with our free quotes tool.